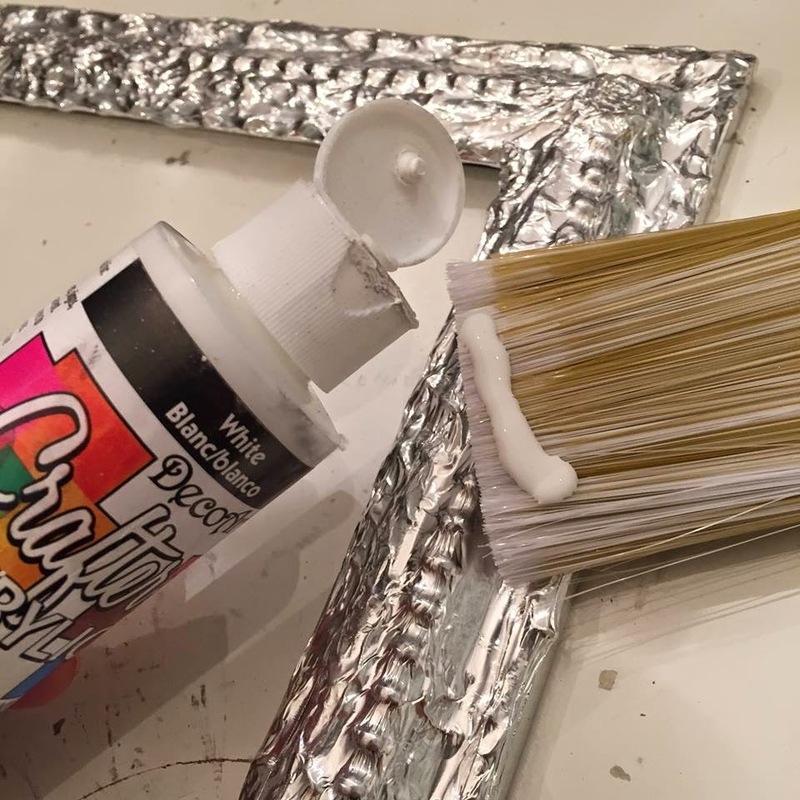 Sometimes a picture frame needs to have a little more... personality. 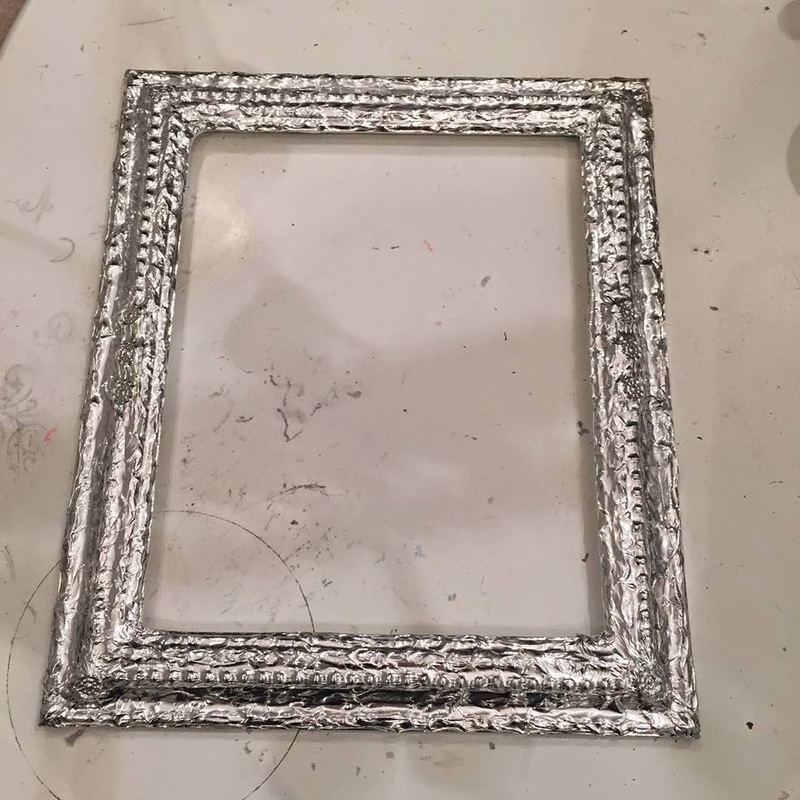 and that's when I realize I needed to alter the frame that was graciously holding my beautiful glass tracing art. 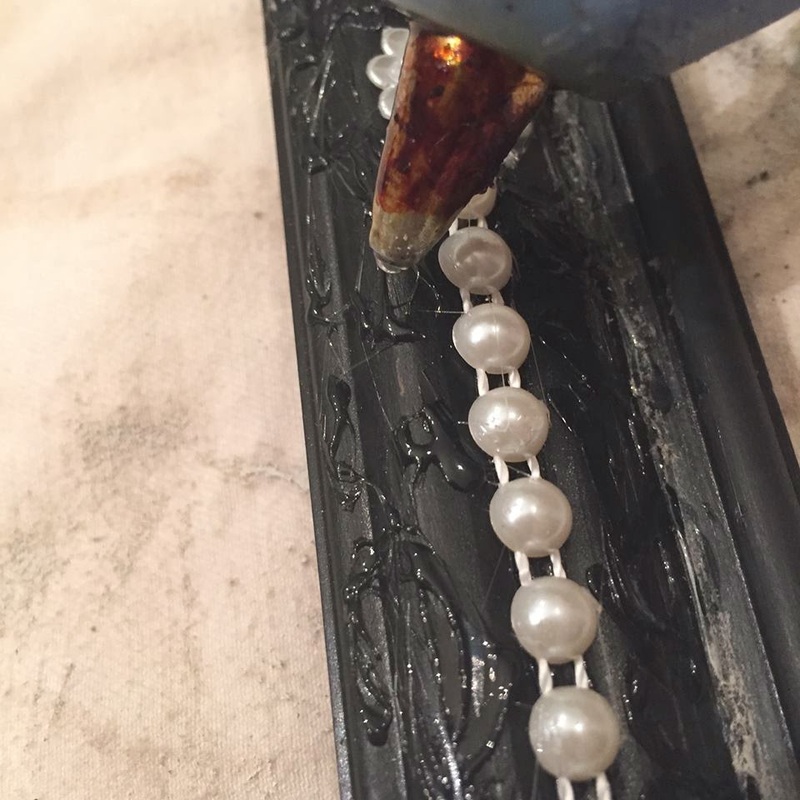 You can find these beads anywhere on the internet, Google "String flat plastic beads" and you'll see a list of places where you can get them from. 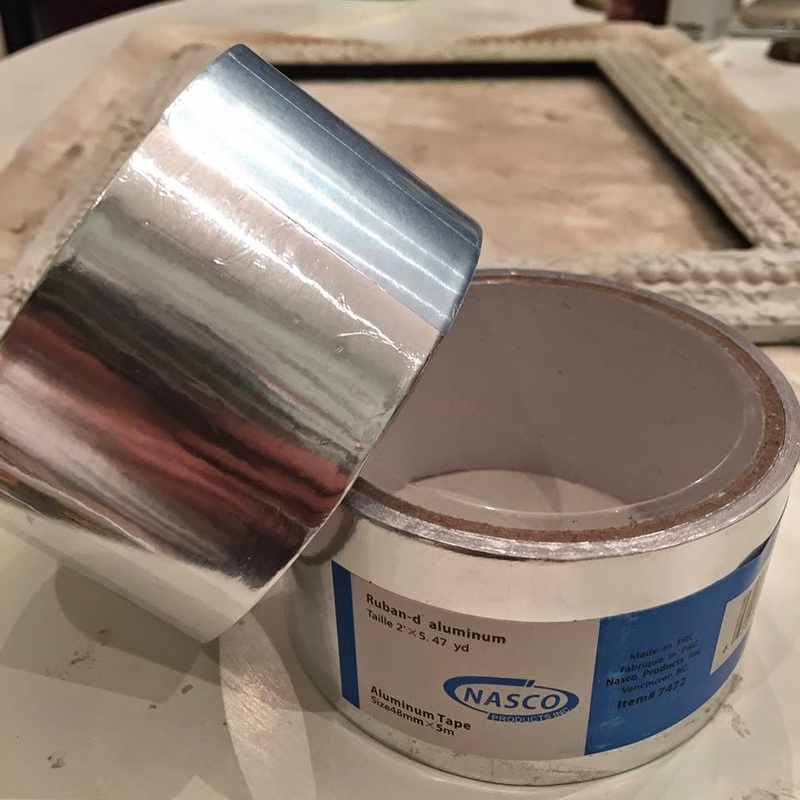 The kind you find at hardware stores for electrical work but don't confuse it with duct tape please, this foil tape is the same as your regular kitchen foil but with a sticky side and it comes in a roll like tape. 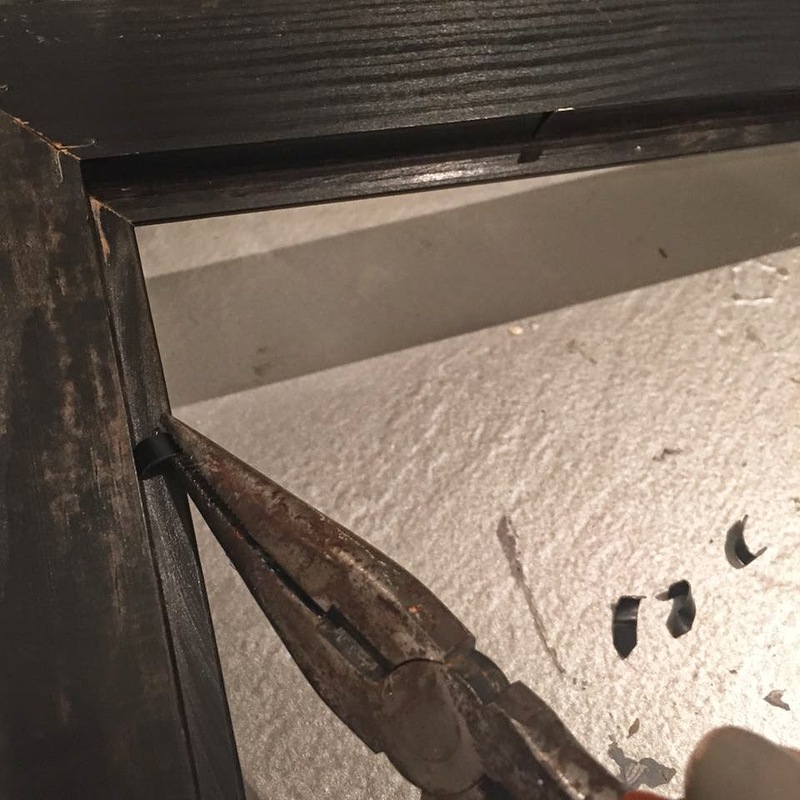 I started by removing the glass support from the back of the frame. 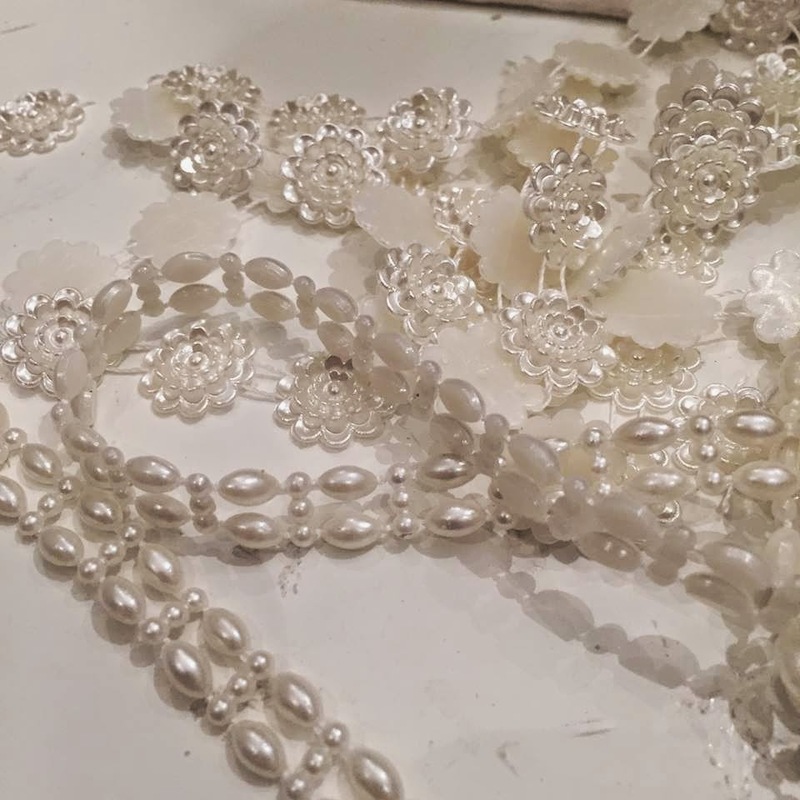 I then started gluing the string beans along the middle of the frame alternating beads styles ( flowers and dots) for a more daring look. The I pour hot glue along the sides of the string beads, I did this sporadically and kinda like in a circle motion so it looked like scrolls but you can make your own patterns with the hot glue. 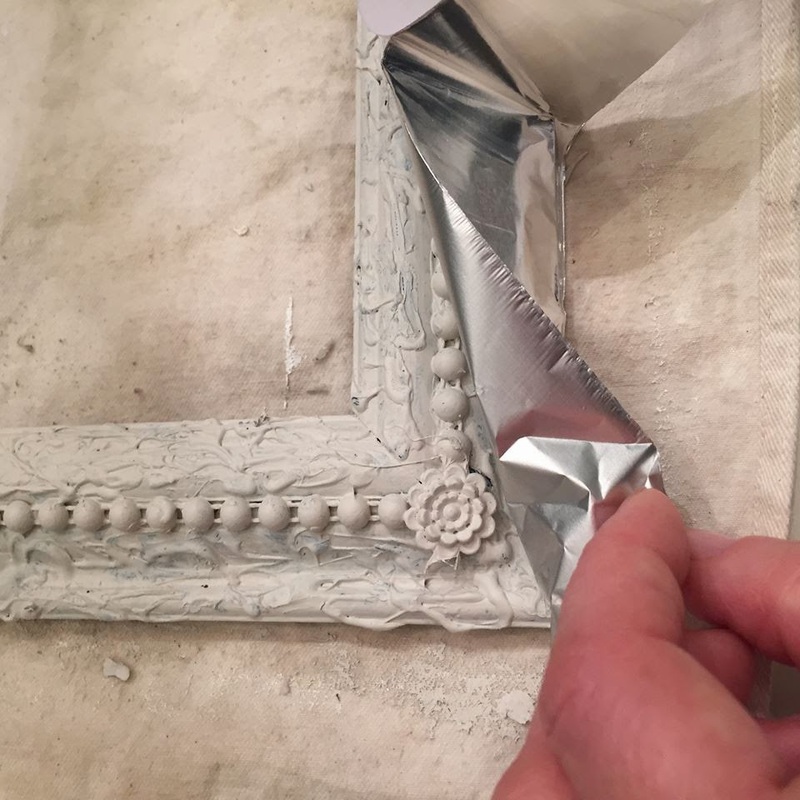 Ok, this step is not necessary but I did it because I wanted to stop the whole project right there and then decided to continue with foil so... you decide if you want to foil your frame or simply paint it. 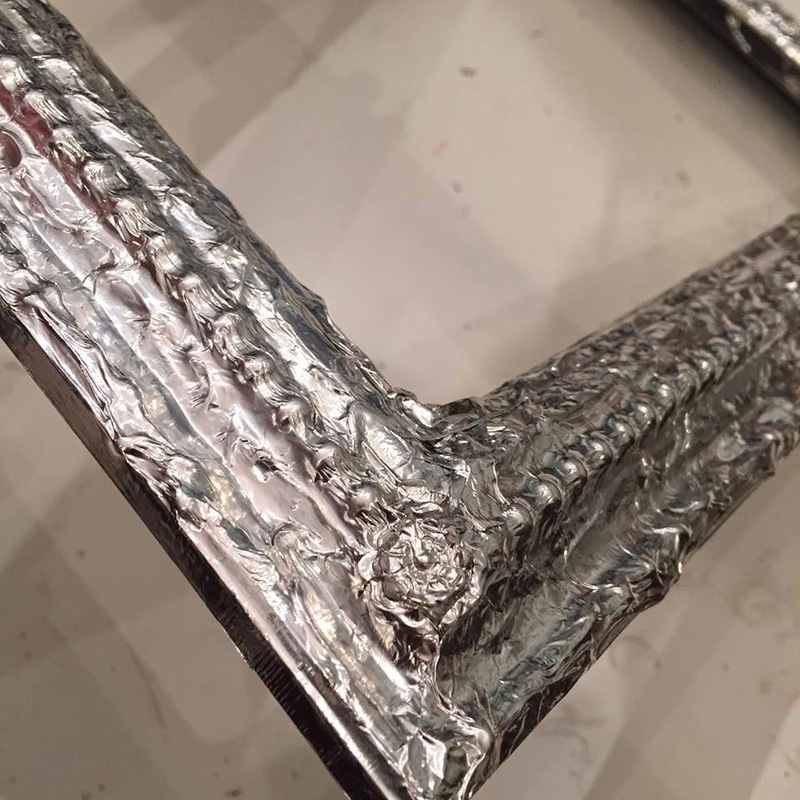 If you decide to paint it without "foiling" it first, here you have another frame I did using that technique. 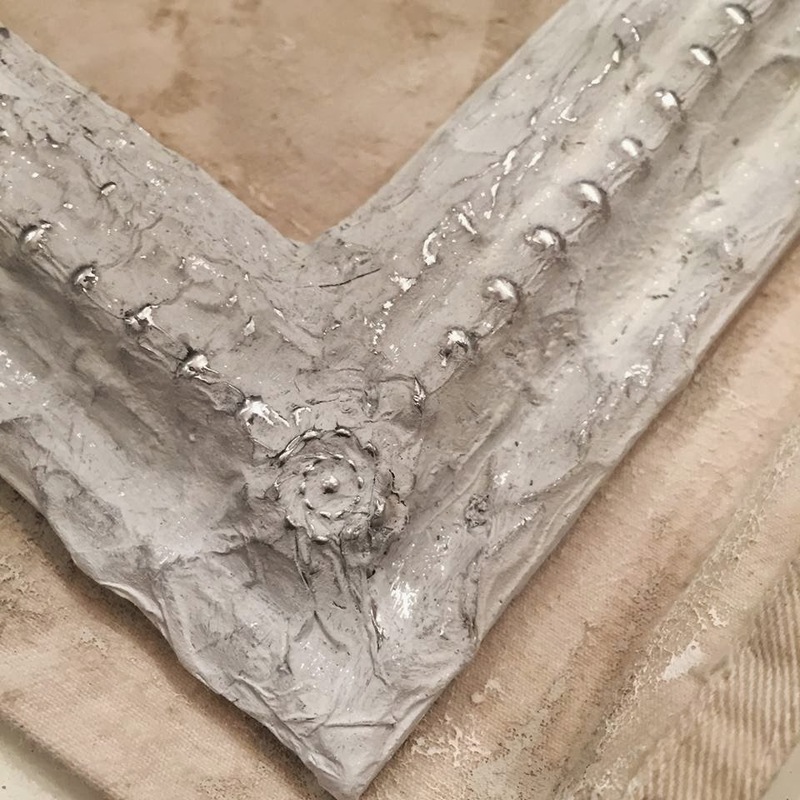 Its nice but not what I was looking for so I continued working on my original frame. 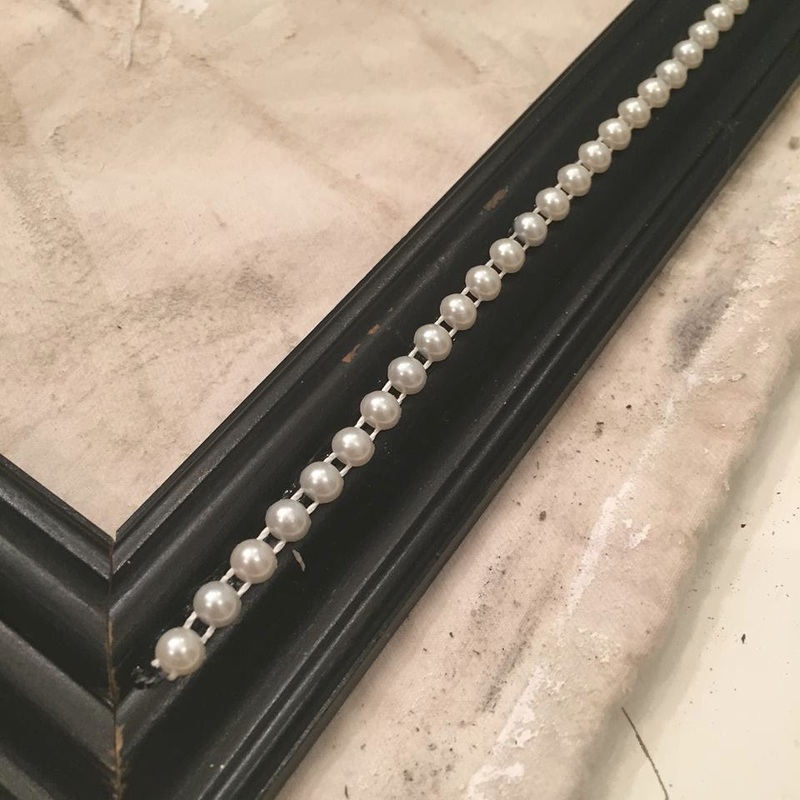 This tape is sticky in one side so it sticks very easily to the beaded frame. 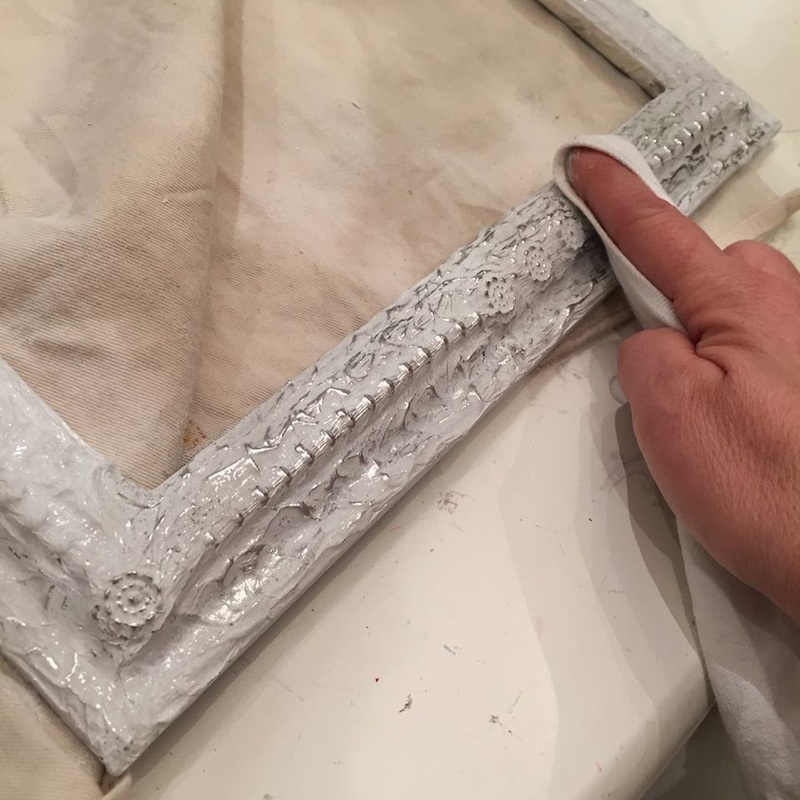 But I used a cold glue stick to help me get it in the crevices of the frame for a well defined dimension. pretty easy and kinda fun! 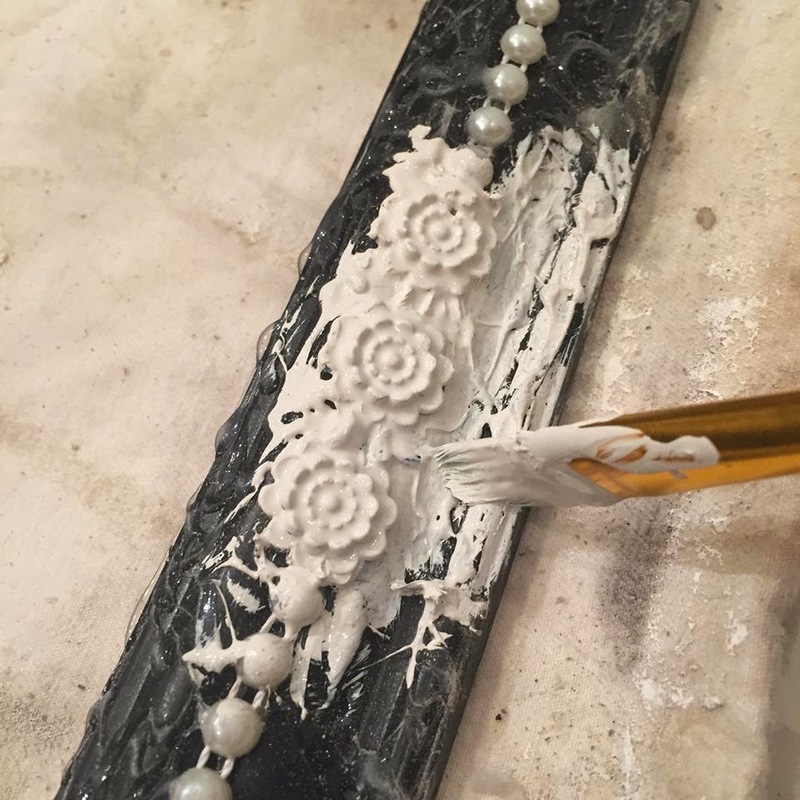 Now its painting time... 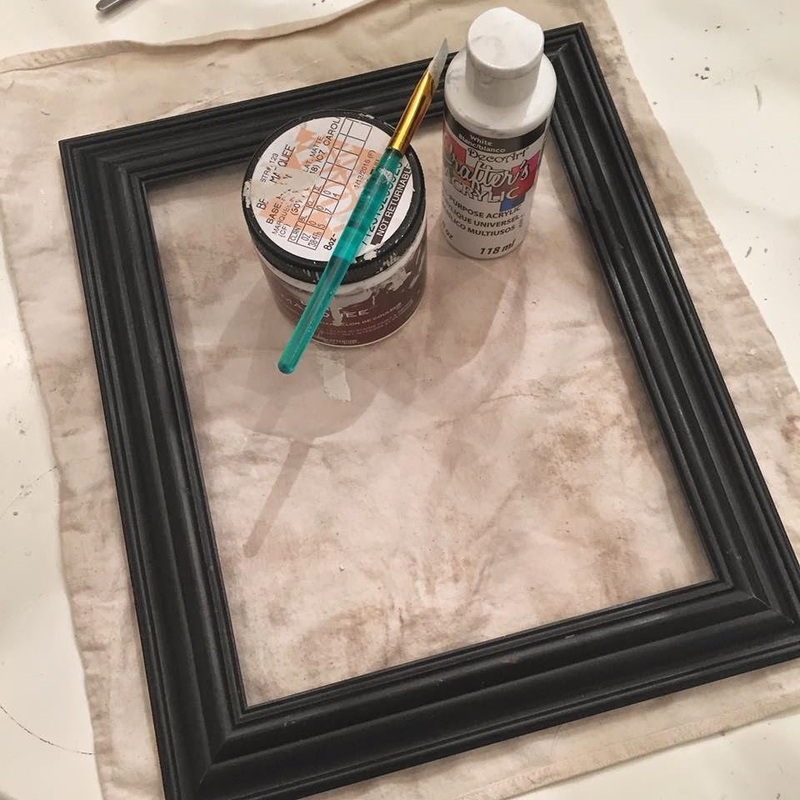 I used cheap craft paint, after all, this was an experiment and I didn't want to waste precious chalk paint or anything like that. This is the important part of this whole project, pay attention!! I paint it the first coat and I didn't, I repeat, DIDN'T let it dry.. 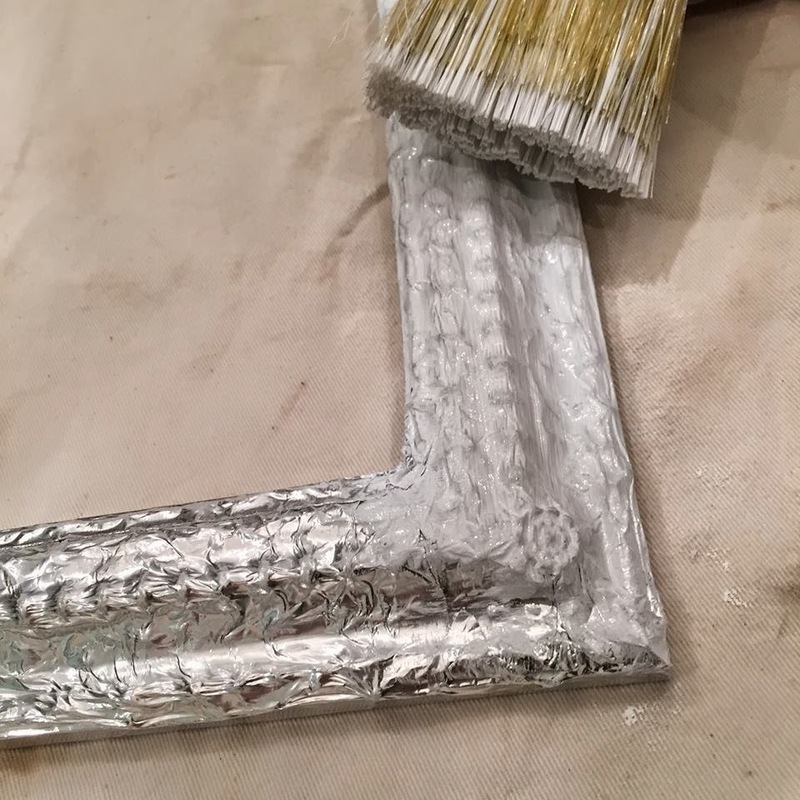 I rubbed off the wet paint in some areas to reveal some of the metallic silver underneath creating a more dimensional look. 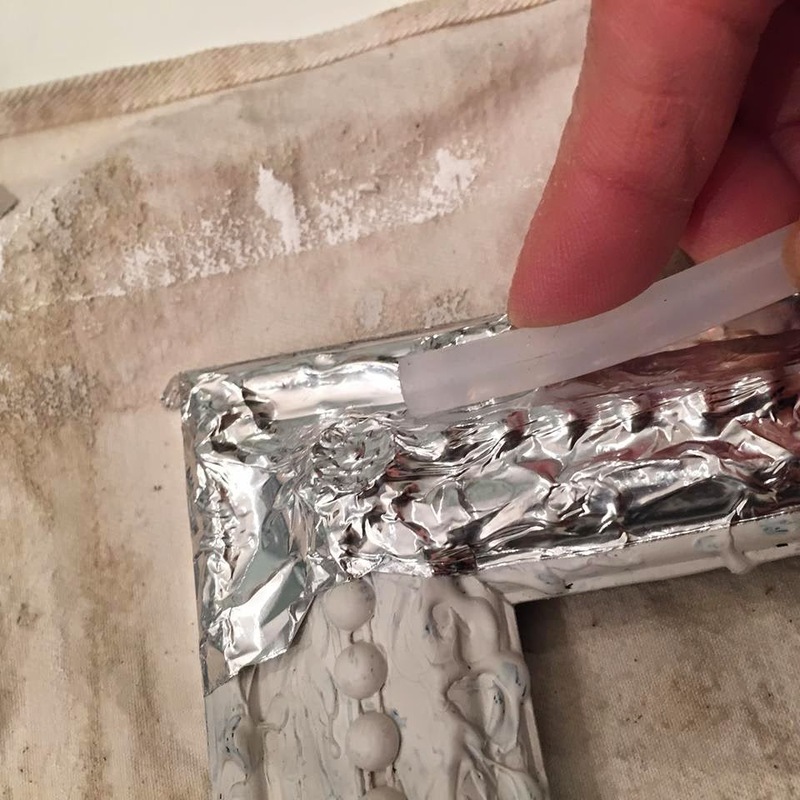 See the interesting pattern that the hot glue produced under the foil? that's what I call TEXTURE! 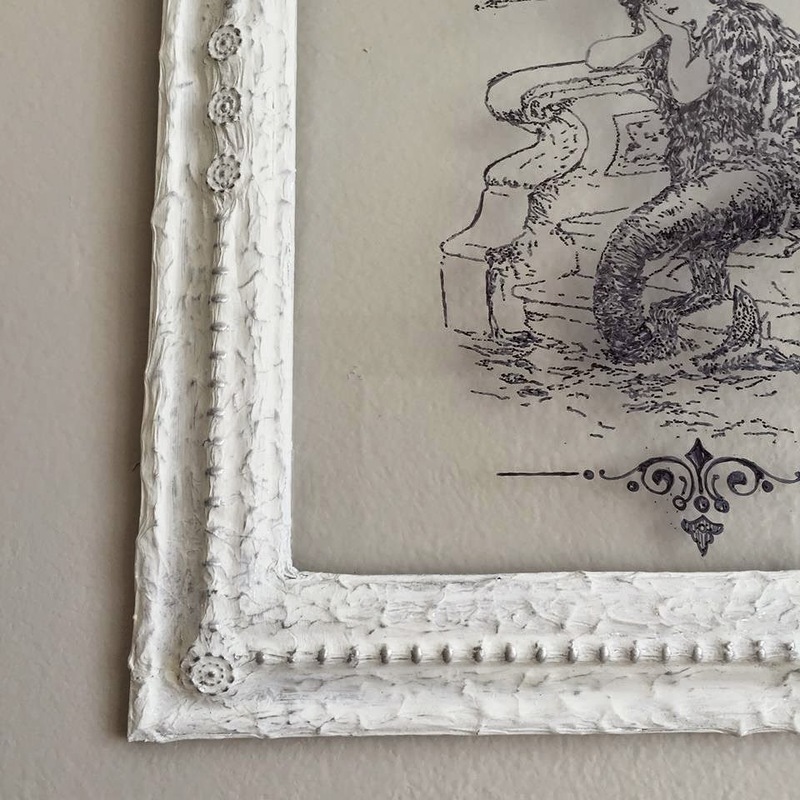 and this my friends, is the reason why I textured my plain $2 frame, to display one of my fav tracing art pieces ever!! I must try that on my next frame, thanks!! 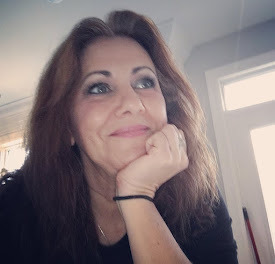 I absolutely love what your company does!! 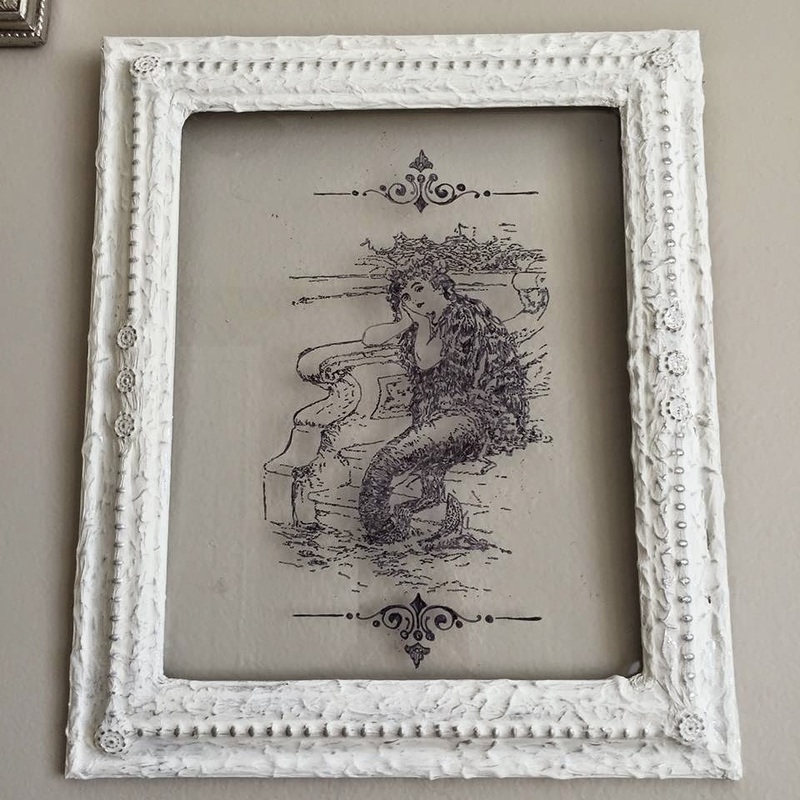 Do you have a tutorial on "tracing art" to do a pic to frame? I love the art tracing and the framework, where did you find that beautiful picture?